How to get a smaller waist might be one of a lot of women’s dreams want to achieve. A lot of women definitely want to have a small waist. Having a slim waist is considered to be one of women’s perfections for a lot of people. However, for some women, especially those who have larger size, think that it is extremely difficult for them to own that hourglass shape of wait. Well, that is the wrongful opinion of them. Can you really make your waist smaller? It is not impossible for all women to have a small waist if they know how. To make your dream of having a tiny waist like those beautiful actresses have is not impossible to achieve. For some women, it might be difficult for them to get the smaller waist in a short time. That’s because they don’t know how to achieve it in the correct way. They need to know the best tips to get a smaller waist to achieve their dream. To get a smaller waist might take some time, but if you are focus and persistent it is possible for you to achieve it. The first tip is that you have to focus on what you eat. It is suggested that you eat small portions of meal during the day. Instead of consuming greasy and meaty foods throughout the day, you’d better consume foods contain with fiber like fruit, vegetables, or whole grains. Or you can also eat foods which contain healthy fats like salmon or walnuts. It is believed that people who eat healthy can lose more fat in their belly that people who don’t. Besides focusing on consuming healthy diets, exercising is also strongly recommended for anyone who dreams to get a smaller waist. Eating healthy food without the company of regular exercising is no use. So if you want to have the smaller waist of your dream, start doing exercises and do it in regular basis to get a maximum result. Body workouts / waist shaping exercises such burpees, crunches, planking and sit ups are recommended to be done in a daily routine to get the perfect shape of waist. 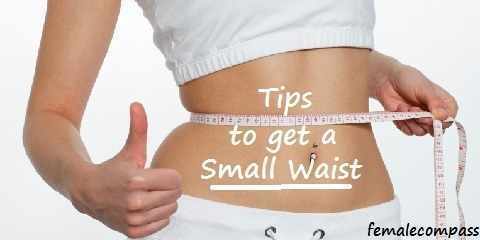 After focusing on your diets and doing exercises in a regular basis, there’s another tip to make your waist smaller. Focus on the dress you are about to wear. If you want to make your waist slimmer, you need to wear dresses that draw attention to your waist. You can choose dresses that come along with a waist belt. Those sorts of dresses provide the illusion of a figure of an hourglass. They simply make your waist looks slimmer than the actual one. Wearing A-line dresses can also help your waist to look smaller. They are a type of dresses that are tight at the hips. These A-line dresses are favorable in any shapes of body. Those tips might give you helpful ideas to achieve your desire to have a slimmer waistline. 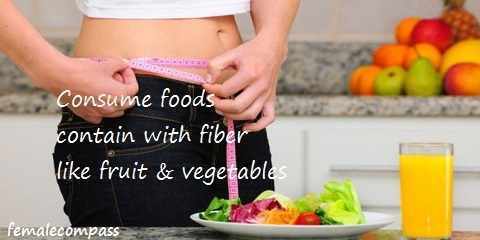 So it is essential for you to know these tips on how to get a slimmer waist.